Riverside General Hospital's inpatient adolescent program offers services to adolescent between the ages of 10 - 17 years old with behavioral and mental health issues. Using our state of the art motivational intervention program, W.I.N.G.S. (Winning Interventions for New Growth to Soar), offering rewards, explaining and enforcing consequences while providing educational stimulation helps in the development of well-rounded, independent and socially competent individuals. Riverside General Hospital is one of the few, if not the only, hospital that offers Charter school educational curriculum, which is transferable to any school district in Texas. This curriculum allows our patients to make an easy transition back into the school setting adding to our commitment to their overall success. The way adolescents interact and cope with problems today is crucial in their development. The challenges they have to face can lead to confusion with a high level of vulnerability. These behaviors can oftentimes make it virtually impossible for parents to effectively address these issues at home leaving them feeling helpless and discouraged. For most people, memories of adolescent years are times when we all have stories of experiences and adjustments we had to make during the stage where we transition from puberty into adulthood. For some, this transition can be particularly stressful, oftentimes leading to self-destructive behaviors that can affect the core that form structure such as family, friends, and other components that contribute to a healthy individual and member of society. Lack of control, poor self-esteem and impulsive behavior can severely strain relationships with the people who act as the bloodline for a healthy support circle. Without the right interventions and behavioral modifications an adolescent can be lost forever, which is where Riverside General Hospital steps in. We offer a road map for success to adolescents and their families. When the adolescent, family and loved ones know where to turn for help it makes getting back on the right track to as easy as 1-2-3! Our highly structured program provides age appropriate interventions and a developmentally healthy environment which acts as a compliment to rehabilitation and recovery. We provide both individual and group therapy sessions. At the point of discharge, we provide our patients and their families with an aftercare plan that includes detailed instructions for follow-up. Admissions are accepted on a 24-hours basis. Trained professionals are available around the clock to listen and help you determine your next step. For more details or to schedule a consultation please do not hesitate to contact our Adolescent department at (713) 526-2441 ext. 286. Please note that some patients may transition to our Outpatient Adolescent Program known as Winner's Journey (see description below) which allows the adolescent to continue their treatment in an outpatient setting as a part of our continuum of care. The Winner's Journey Outpatient Program is a non-residential treatment program providing assessment and treatment for adolescents (ages 12-17) and is dedicated to helping young people mature into responsible members of the community by providing them and their families with culturally sensitive, easily accessible outpatient drug education, prevention, intervention and treatment. 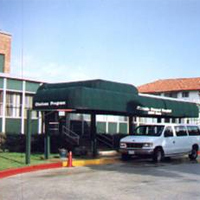 The Outpatient Substance Abuse Treatment program, in addition to providing treatment, addresses a wide variety of related behavioral problems including gang activity, low academic performance, unhealthy family dynamics and other issues that may impact the youth's healthy childhood development in order to provide a more thorough, permanent solution. Focused treatment services are combined with after-school programming, family services and aftercare education to ensure a successful transition from treatment to adolescent and adult life. The Winner's Journey Outpatient Program meets Mondays and Wednesdays from 6:30p.m. to 8:00p.m. Evaluation/Assessment - Conducted within a structured and private interview setting, by certified and/or licensed staff, in determining the most appropriate and effective level of care. Individualized Treatment Planning - Issues identified in the evaluation/assessment are addressed through a systematic treatment planning approach, including the development of objectives and goals to assist the client in successful completion of treatment. Education Groups - Clients will learn about the substance abuse/dependence model and the effects of substance abuse/dependence on health, family, and employment. Individual Counseling - Clients have the opportunity for both support and feedback from other clients experiencing similar addiction issues in a safe and confidential setting. Family Support/Education - Education and support services are provided to assist the family and significant others to learn and understand about addiction. Drug Screens - Random drug screening is conducted on all clients, to monitor treatment compliance and progress. Transportation-To the facility and back to home. Houston Recovery Campus conducts Screening and Intake sessions Mondays thru Fridays. Interested applicants should call (713) 331-2649 for adult admissions and (713) 331-2658 or (713) 331-2711 for adolescent admissions.